I joined Unite Singapore 2018 which is Unity event held in Singapore on November 16 last month. 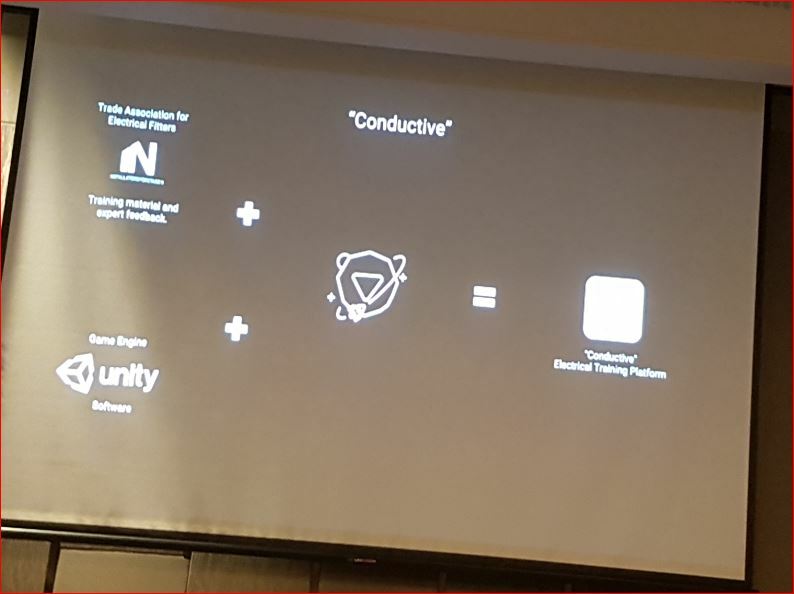 In Unite, various sessions related to Unity are usually held, at that time, I participated in several sessions related to AR/VR that I am really interested in. This time I will introduce one of them. This is a session called ‘Powering the adaptation of XR in business’ by Alexander Hamilton, CEO of Vobling Co-Founder. He introduced some of the XR projects they worked on. 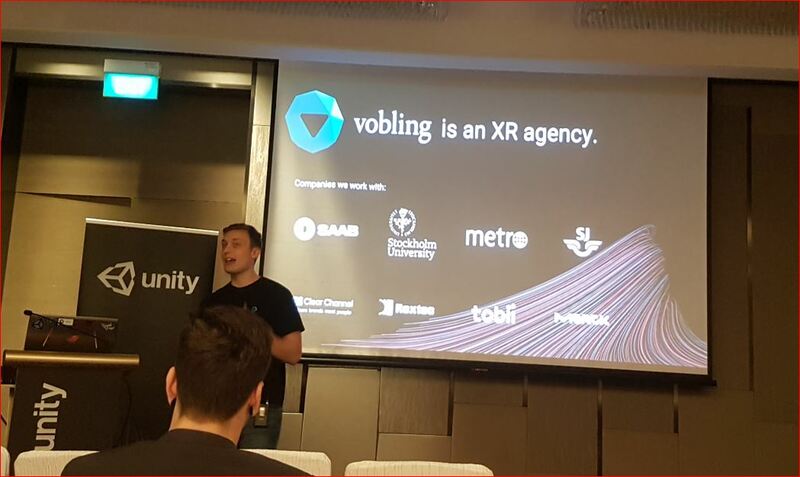 Vobling ( http://www.vobling.com/ ) is a consultant and developer specializing in XR based in Stockholm, Sweden. 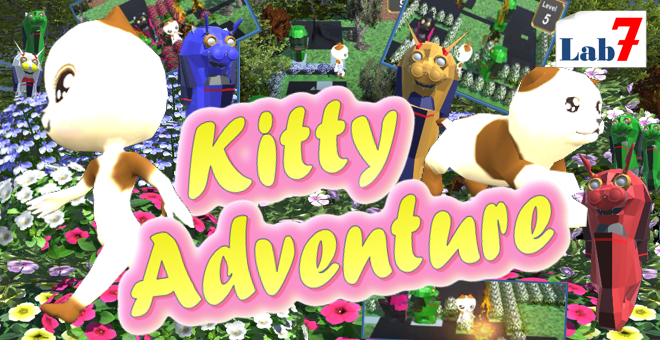 They are mainly handling AR and VR related projects for general industries other than games. 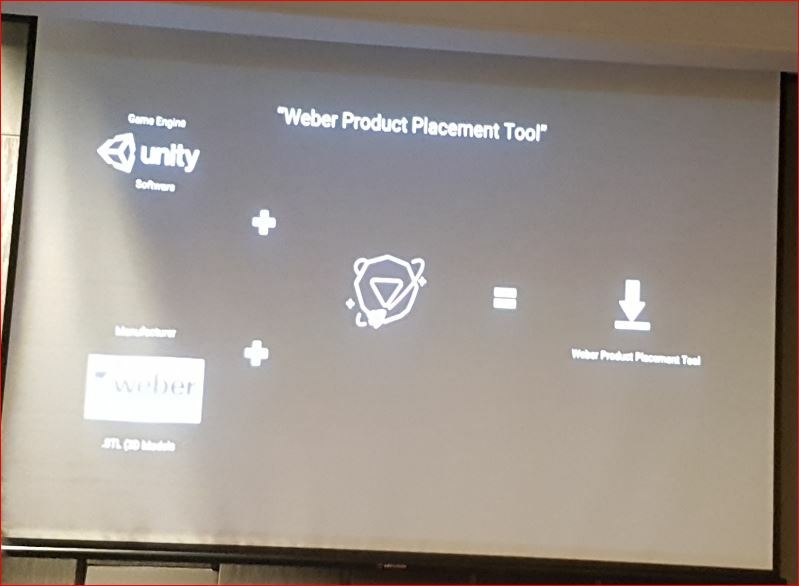 They use Unity for those developments, so we can say that they are developing businesses that are following Unity’s recent business strategy. They have already been providing many services to major companies in some industries (mainly with Swedish companies). They said that they came to Unite Singapore this time because they opened branch in Philippines Manila to target on Southeast Asia. Then followings are XR’s case studies they introduced. It is an example of a training tool for a Swedish major railway company called SJ (Statens Järnvägar). He said that in-car staffs and maintenance staffs can train in VR environment with HMD attached. It is used as ‘SJ Virtual Training Platform’. 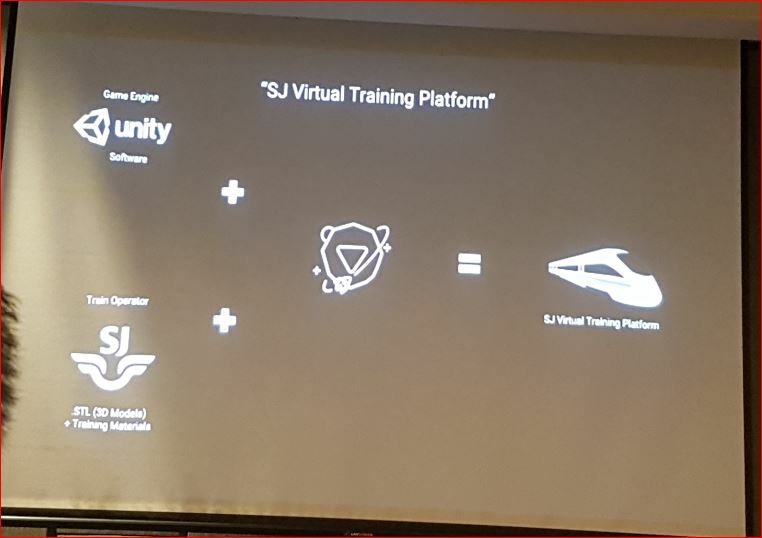 They had booths in showcases of this Unite so that we could have some experiences, but this ‘SJ Virtual Training Platform’ was not exhibited there and could not be experienced. However from their video, I was able to see the railroad company’s car staff practicing their operations of train equipment with HMD. 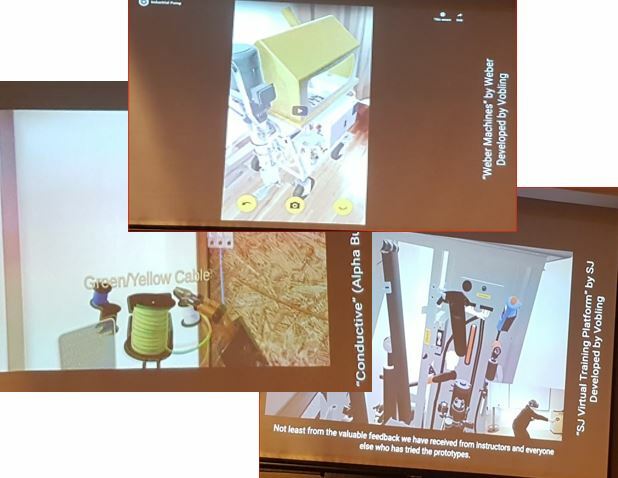 It is an example of an electric construction training tool for a Swedish electric company called IN (Installatörsföretagen). 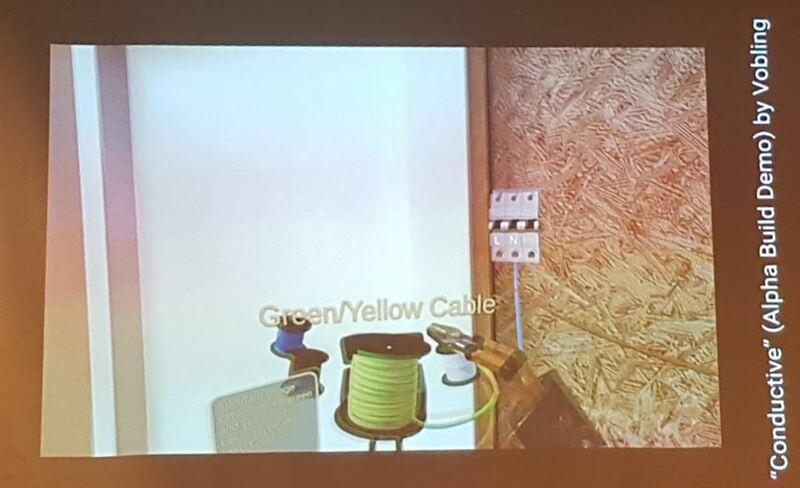 You can try to practice electric wiring work in VR environment. Because it was exhibited in the Showcase, I tried it. Using Samsung’s HMD Odyssey+, I conducted wiring work with a controller. Choosing electric parts and wires, I tried the wiring until the point where the electricity arrived. It was very realistic feeling that the movement of wiring and the degree of bending occurred in conjunction with my actions. In such a VR, I felt not yet so real. Like actual construction, pinching those parts between a finger and a finger, handling the instruments with other hands… I can say it is a tool to just learn a wiring way on a real scale. 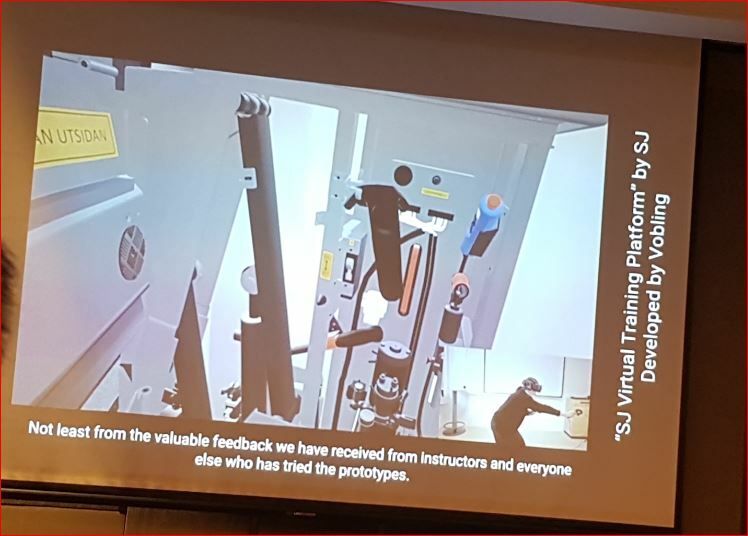 For example, using genuine instruments and try to connect the virtual wires on the virtual wall, it would be more realistic training. Next is Weber (Saint-Gobain Sweden AB), which deals with construction materials like mortar in Sweden. It is a tool to show the pump equipment which mixes cement and mortar with AR in a real scale. 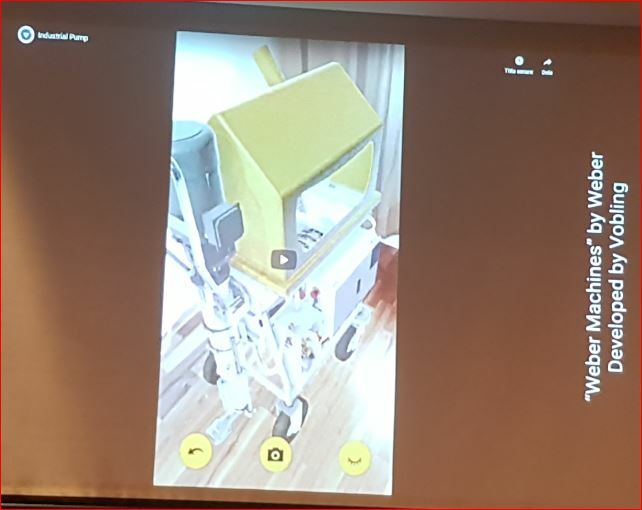 In short, since it is difficult to show real product to customers because it’s nearly 300 kg, so it is used to confirm the product with a smartphone or tablet using AR. In fact, this is just displaying the 3D object in real size and there is no technical special things. However, that kind of tool will be created as an AR application and will be offered to this customer, so if the customer made a new product, I think they will provide a 3D model each time. Recently AR tool is basically created as an individual application, so I think that it is a good business, because even a simple tool user will keep using for a long time. 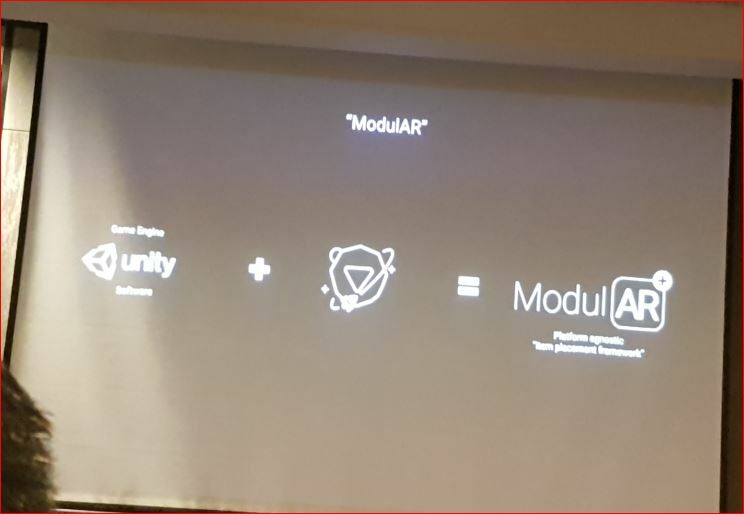 It is like a library of standard functions for AR development called ‘Modul AR’. Although I could not hear clearly what kind of function was included there, he said that development efficiency will improve. It corresponds to ARCore, ARKit based on Unity. His session was like this. To be honest, I felt that the technical level was not so high compared with the game industry products. In terms of technology, the game is going ahead first. 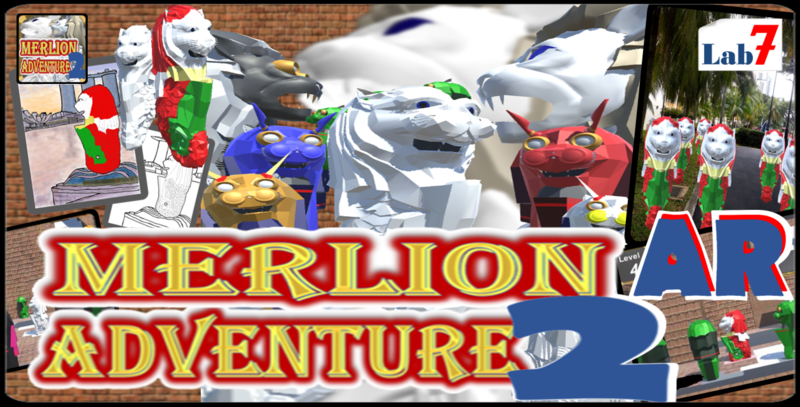 I’m thinking that I will try to create a product for other industries like this, but in personal impression, creating games should be continued for technical retention and exploration of new technology. In Unite Singapore 2018, I have also joined several more sessions, so I would like to write a report as much as possible.